If you prefer not to watch videos or would just like to see more photos of the fun goodies I got, you’re in luck! Here’s a close-up of the stamp design I got, which I will definitely be using sooner rather than later. 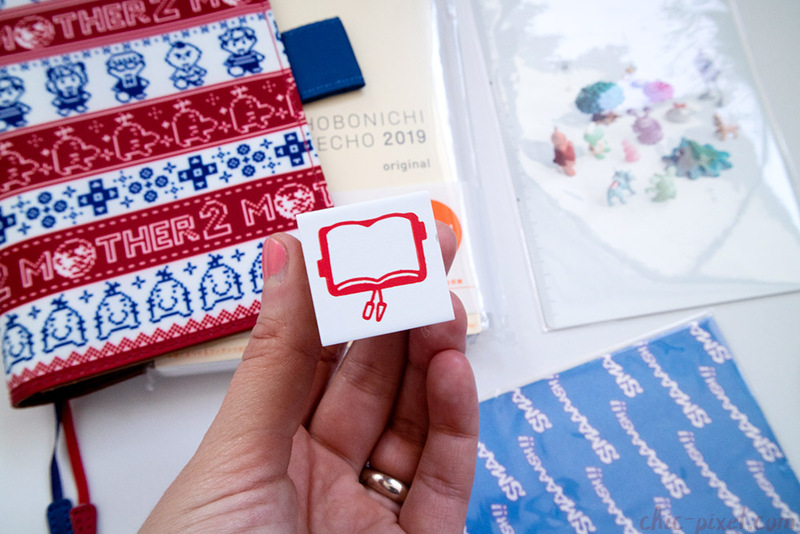 Putting a Hobonichi stamp in my Hobonichi book is a little inception-like, don’t you think? Here’s a closeup of the creepy bear thing that came free with my online order. 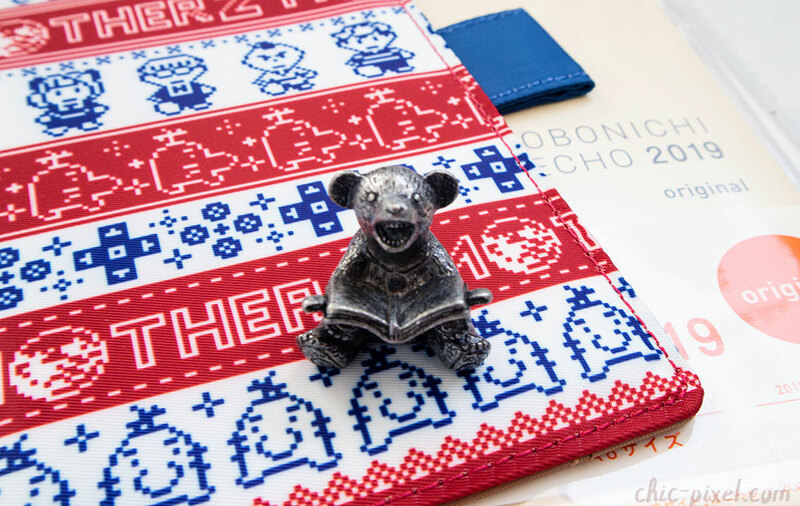 Every year they have a special bonus item, and this toothy bear comes with all 2019 techo orders. He certainly has character! I will probably just keep him on my desk as a little desk buddy. If you’re interested in the Hobonichi Techo “philosophy,” I highly recommend checking out this recent interview from Earthbound and Hobonichi creator Shigesato Itoi! 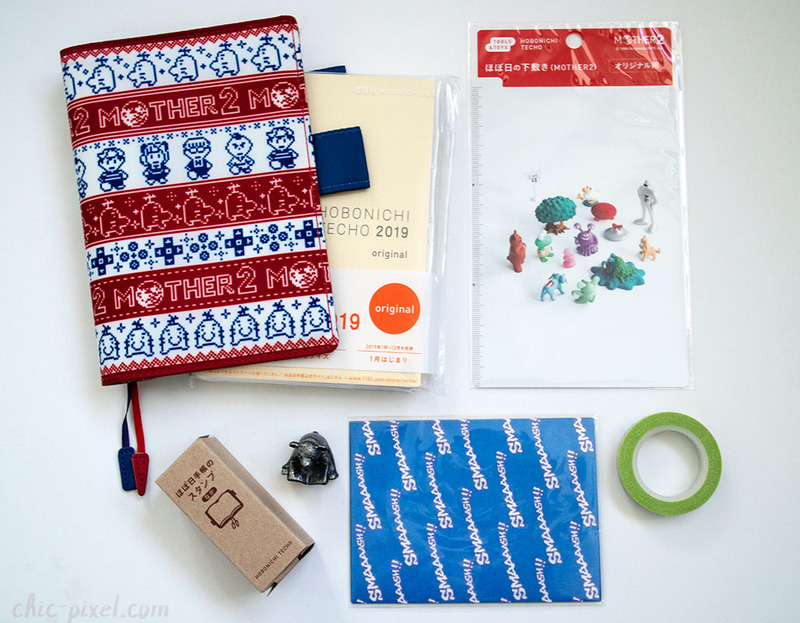 He talks about how he originally was not a very heavy Hobonichi Techo user, but has started integrating it into every part of his life after observing how others use it. My own Hobonichi is really a catch-all planner, dairy, and notebook, so I’m all for this method! It’s also really cool to see someone involved in game development move to more “lifestyle” products such as planners. 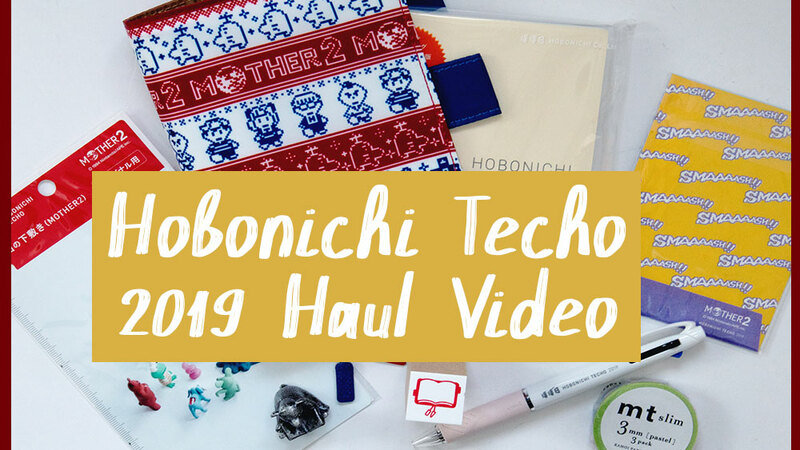 You can view the full 2019 Hobonichi Techo lineup on their website. Will you be getting be getting one for next year? Let me know in the comments!